I have time to spend so I’m going spend it by telling you if Vinnie Jones does not win this series then I will cry for at least a week the guy is just too funny! Every show this week he has made me laugh and out loud (lol and all that) his one liners and insults are just too much – VOTE Vinnie! Special note to Sov as well she seems really cool and Channel 4 should remind everyone of her verse in Fit But You Know It remix (this is an all time classic UK “urban” (I hate the term urban) track) shes 2.27 minutes in, its also got Kano and a even smaller than Tinchy, Tinchy Stryder in it – thumbs up! I remember the first time I saw Talib live when he supported Kanye West when he first came out 2004 time and he was too good! This guy is probably one of my biggest influences although he doesn’t make music he sells it and broadcasts it to the nation and has done ever since I can remember. 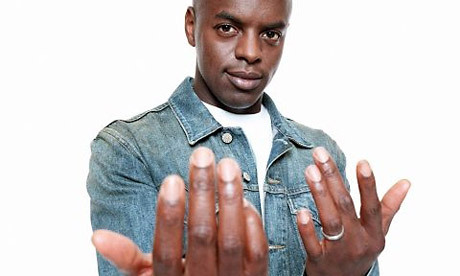 My first experiences of this guy were when he did his Saturday afternoon slot on Radio 1 think it was an R&B chart he also played alot of Old School classics if I remember I guess this is what planted the seed for my love of all things R&B Pre-1995. He does songs like Oopsy Daisy, Diamond Rings… he’s a sell out blah blah. I mentioned something similar in the later part of year that just because an artist is successful chart wise it doesn’t mean that they still can’t cut it …. You are currently browsing the RB Music – Uncovered & Rediscovered Hits blog archives for January, 2010.